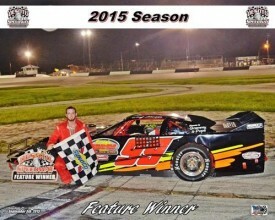 Mother Nature may have tried to win for the third week in a row at Desoto Speedway, but those who waited out a two-hour rain delay saw some fast and furious action Saturday night that featured some dramatic finishes and a familiar face finally getting his breakthrough win for 2015. The J.D. Byrider Open Wheel Modifieds headlined the nights racing action. Thanks to an inversion of the field after qualifying L.B. 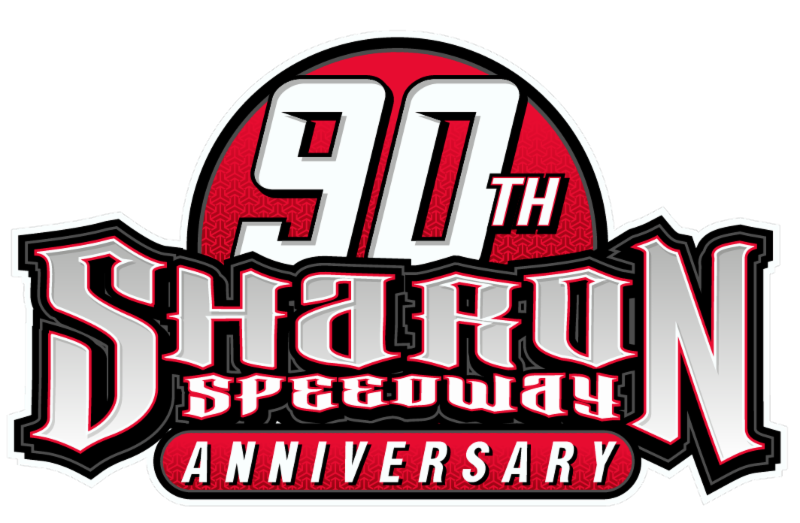 Skaggs started on the outside pole for the 30-lap main event and paced the field for the first five laps with Cody Stickler, who won multiple events during the 2014 season, directly on his tale. Stickler passes Skaggs for lead on the sixth lap and had already built a lead of half a straightaway when Doug Moff and Nick Hernandez got together coming out of turn four on lap 11. On the restart Stickler quickly pulled away from new second place runner Timmy Moore and the rest of the field. Moff got to second with eight laps to go, but couldn’t gain any ground on Stickler in the closing laps as the Pinellas Park driver cruised to his first win of the 2015 season. Moff, winner of several events before Desoto’s summer break, said the inversion hurt his chances of claiming another victory. Moore finished third, with Hernandez and Cameron Ray rounding out the top five. A large field of cars was on hand for the Take Aim Gun Range Street Stock 25-lap feature. Polesitter Jimmy Castleberry grabbed the early advantage and held off challenges from Danny Caylor and Tyler Lau in the early laps. As the field completed the ninth lap Castleberry found himself behind the lapped car of Roger Dufrense heading into turn one. Caylor – making his return to the cockpit this year after about seven years away from the track – went under both cars to take the lead and brought Lau with him into second place. While Caylor and Lau battled for the top spot a three-wide battle for the third spot broke out between Castleberry, Ander Jackson and Jeff Firestine. Jackson won that battle and quickly ran down the leading duo of Caylor and Lau. Lau made several attempts to get under Caylor for the lead in the middle stages of the race but couldn’t complete the pass. With two laps to go Jackson moved high going into the first turn and went from third to first by the time the leaders got to the backstretch. Jackson was unchallenged the rest of the way and the 2014 Desoto Street Stock champion went on to his second win of the 2015 season. Caylor held off Lau in a spirited battle for second coming to the line. “It’s been about seven years since I’ve raced and I’m just trying to get my feet wet again,” Caylor said. “I have to thank Tyler Lau. He had the opportunity to wreck me every lap but raced me clean. Firestine and series points leader Mike Karrivan rounded out the top five. Saturday’s 20-lap Mini Stock main event featured the return of Ronnie Robinson, who dominated the class during the early portions of the season before being forced out of the car due to a wrist injury. Outside polesitter Johnny Marra got the jump at the start with Robinson coming from deep in the field all the way to second by the end of the first lap. Marra and Robinson spent the duration of the race running nose-to-tail around the 3/8-mile oval. In the closing laps Robinson tried getting around Marra on the outside but couldn’t complete with the pass. As the field the took the white flag Robinson pulled nearly even with Marra. The duo ran the final lap side-by-side and were even going into the final corners. Marra held off a final charge by Robinson and crossed the stripe in a near dead-heat with Robinson to win in a photo finish. Jimmie Best finished a career-best third to round out the podium. In other action Saturday night, Tom Zimmerman held off Lee Davis to win the 25-lap Mod Mini feature; Randy Spicer won the 15-lap bomber feature; Joe Lombardi won the 25-lap feature and road course race for the Enduro cars; and DJ Taylor closed the evening by winning the 10-lap Enduro flag pole race. The Turner Tree and Landscape Super Late Models return to action next week at Desoto Speedway. Sportsmen, Bombers, Mini Stocks and Mini Cup cars will also be in action Saturday night. 12. 8 Jamie Castleberry Auburndale D.N.S.